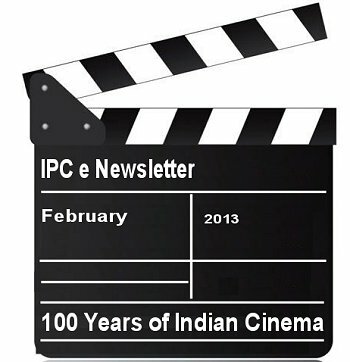 Welcome to the February 2013 edition of the IPC e-newsletter. The IPC e newsletter is distributed free to more than 4000 people around the world. We have updated the complete Kerala Powder Coating units in our website. Thanks to the All Kerala Anodisers Powder Coater's Association KAPACA for the contribution. Click here for the Kerala and all the other states list of powder coating units. About two months after the accident, things are gradually improving though it will take another month to return to normal. I would like to thank all those who have been helping me in coping up in these difficult times. Dec. 20, 2012 — Surfaces with photo-catalytic characteristics clean the air off nitrogen oxides and other health-endangering substances. Using a new test procedure, Fraunhofer researchers can find out how the coatings behave during a long-term test. ROLLA, MO - A Missouri University of Science and Technology effort to investigate environmentally benign, corrosion-resistant coatings for military aircraft and other weapons systems has received national recognition from the U.S. Defense Department. The Missouri S&T project was selected as a 2012 Project of the Year for the Weapon Systems and Platforms program within the Defense Department's Strategic Environmental Research and Development Program (SERDP). The Missouri S&T project was one of four selected by SERDP. Led by Dr. Bill Fahrenholtz, Curators' Professor of ceramic engineering and a senior investigator in Missouri S&T's Materials Research Center (MRC), and Dr. Matt O'Keefe, Professor of metallurgical engineering and Director of the MRC, the Missouri S&T researchers worked with Dr. Eric Morris and Rich Albers, researchers with Deft Inc. of Irvine, CA, to understand the corrosion-protection mechanisms for rare-earth-based corrosion coatings for use on military aircraft. These rare-earth compounds are believed to be less harmful to the environment than conventional coating materials<more>. On the onset, a Big Thank you for making our Annual General Meet, 2012 held at Grand Hotel, Ernakulam on December 15th, 2012 a grand Success. Nearly 170 Delegate Members from all over Kerala and 21 Exhibition stalls of different Companies dealing products for Metal Coating Industry actively participated. Talk by Mr. Santharam Shenoy, FCA, on Compounding Sales Tax at 3% for Metal surface Coating works under the purview of Order received from Commissioner Office, Kerala Taxes, Trivandrum filled by AKAPCA., Informative and Educative Presentation by Sri. Vincent J Macheri, MBA. (Ex. Scientist – NLC, NTPL & CPCB ) on ‘Effective Pollution Controlling Methods’ and talk on ‘ Varied Banking Schemes for SME Units’ Divisional Manager, Canara Bank, Ernakulam are some of the highlights of the Programme. Interactive presentation from Companies like Berger, GuruKrupa Engineers, Kalyan Marketing, WagenR, Talent Associates, Marpol Powders, Peeyem Associates, Titan Paints, Industrial Speciality Chemicals etc. throw light on New Generation Metal Coating Finishing and Techniques. Stupendous Multi Cuisine Lunch at afternoon and Grand Buffet Dinner with Kerala Delicacies accompanied by Traditional Kerala Music Songs by ‘Nadan Kala Kendram’ marked the end of the Annual General Meet 2012 . I once again thankyou for the your Support, Co-operation and Blessings which you have extended for the Programme to make this a Memorable one. Wishing you a Very Happy and a Prosperous New Year. Talking about his initial days in the industry Shahrukh said, “When I came in (Mumbai) that time it was only about romantic films. Now things are changing and the journey has been great. I will keep working till people want to see me." Kansai Nerolac's brand ambassador Shah Rukh Khan recently launched 'Paint the Change' campaign, that has the company encouraging people to donate unused paints which will be used to paint structures that need a revamp. Delayed monsoon and sluggish festive demand are likely to affect the margins of leading paint-maker Nerolac Kansai even in the third quarter of fiscal 2013. The Mumbai-based company’s profits declined by 20 per cent in the second quarter of the fiscal due to rise in input costs and an overall slowdown in the economy, which hit the automotive, infrastructure and real estate sectors. However, the company is optimistic of demand picking up this year. “We expect a good volume growth of 14-15 per cent in this quarter but profits will be under pressure. Crude and raw-material prices have begun to stabilise but that will not help our margins in this quarter. Also, we were affected by the fluctuating rupee in the last few quarters,” said H.M. Bharuka, Managing Director, Nerolac Kansai. Nerolac clocked sales of Rs 3,500 crore last fiscal and expects a 15 per cent growth in this financial year. Berger Paints is the second largest paints company in India with ~18% market share in the decorative paints business. The company exclusively owns the Berger brand in India, Nepal and Sri Lanka. - Paints industry volumes have a 1.5-1.6x correlation with GDP. Over the longer term, assuming an annual GDP growth of 7%, Berger expects industry volumes to grow by 11-12% per annum and its own volumes by 100-150bp ahead of the industry with focus on the faster growing premium segment and expanding distribution. - Increasing focus on the decorative paints segment (currently 80% of the business) and within that premium emulsions will not only drive margin improvement but also improve the working capital cycle and cash flows. Despite a slowing economy, paint companies are so optimistic about prospects in the Indian marketthat they are set to increase their capacities 50-70% in the coming years. Divyendu Pundhir, MD of Akzo Refinish Division, says the company is looking to increase its capacity 1.75 times by the end of 2014. “We’re looking at hiking capacity of our units in Hyderabad, Mysore, Gwalior, Mumbai and Bangalore.” Similarly, Nerolac and Berger are going in for capacity addition, reports said. Berger Paints had announced that it is setting up a 3.20 lakh tonne plant at Hindupur in Andhra Pradesh, which will more than double its existing capacity of 2.50 lakh tonne. The first phase of the Berger expansion will be complete by the first quarter of the next fiscal and will add 80,000 tonne to its existing capacity. On its part, Nerolac is confident that two new plants would help it to attain the target of tripling its revenue to Rs7,200 crore by the end of the next fiscal (Rs2,731 crore at FY12-end). Asian Paints has announced its Q3 FY13 financial results. Growth in the 3rd quarter was good for the Decorative business across the country. The quarter witnessed improved demand conditions during Diwali season. The Industrial business was impacted due to poor demand from the projects business and a slowdown in the OEM segment. Huntsman Corporation, a global producer and marketer of differentiated chemicals, has unveiled its plans to enhance capacities and boost its India revenues to US$ 1 billion by 2018-19. Operating companies of Huntsman Corporation produce items catering to a wide range of global industries, including textiles. The newly appointed Vice President and Managing Director, Indian Subcontinent, Steve Stilliard told PTI that they have impressive growth plans for India, and are eyeing capital expenditure of US$ 10 million per annum and annual growth rate of 13 to 15 percent in Indian market, The Economic Times reported. Having over 1,000 associates, Huntsman’s India sales presently stand at over US$ 500 million, and the company aims to boost this to US$ 1 billion by 2018-19, he added. Huntsman is also planning to acquire a mid-sized Indian company, which would strengthen its technology and aid its further expansion in the Indian market. KANSAS CITY, KANSAS (Reuters) - General Motors Co on Monday said it will invest $600 million at its assembly plant in Kansas City, Kansas, to build a new paint shop and make other upgrades. The investment is part of the U.S. automaker's previously announced plan to spend $1.5 billion on its North American plants this year, up from the $436 million last year. GM invests $8 billion annually on its operations globally. GM Chief Executive Dan Akerson, speaking to hundreds of workers, and state and local officials at the plant, said the last four years at GM had been tough, but the automaker is now in a "renaissance." PPG Industries has coatings operations in Oak Creek and Janesville. PPG Industries Inc. has acquired the assets of Spraylat Corp., according to an announcement Monday from Grace Matthews Inc.
PITTSBURGH, Jan. 2, 2013 – PPG Industries (NYSE:PPG) announced that it has received a $1.5 million award from the federal government’s Strategic Environmental Research and Development Program (SERDP) to develop a chemical-agent-resistant coating (CARC) in powder form for use on military vehicles and support equipment. Dubai: Jotun Paints, one of the world’s leading producers and distributors of paints and coatings, has revealed the opening of a new and unique ‘Inspiration Centre’ in Rashidiya, Dubai. The federal government has given a $1.5 million to PPG Industries for a coating to use on military vehicles that would resist chemical agents. The funds from the Strategic Environmental Research and Development Program builds upon work PPG (NYSE: PPG) has done with the U.S. Army Research Laboratory. The powder coating needs to meet a number of standards. ABB, the leading power and automation technology group, has announced the start-up of the new paint production facilities, built for ESKARO Group AB in Odessa, Ukraine. We are an automobile aluminum window manufacturer. We use aluminum extrusions for making window and these frames are black epoxy powder coated. In our 3 decades of business experience this is a common phenomena that many frames are rejected due to bad powder coating. As the user of these frames are some of the big automobile company, a slight mistakes are detected and the entire window is rejected. Now the problem is no one in powder coating industry do re coating, i.e. removing the old coat and then re coat again. Hence the entire window has to be scraped. Is it that removing powder coat from aluminum is not possible? Or practically not worth? We also did many experiment to remove coat with various acids & alcohols, however it was not successful or practically viable. This is a very common problem the world over. Powder coated parts are assembled and sometimes even make it into the field when a serious visual defect is recognized. The challenge is to remedy the finish to the initial specification without having to scrap the part. This problem is multi-faceted and I will attempt to address each issue. The first problem has to do with the incidence of coating defects reaching the customer, in this case big automotive companies. Obviously your quality programs are not sufficient enough to eliminate the delivery of out-of-specification parts to your customer. Two measures need to be implemented: 1. An improvement in your process and quality control to eliminate the root cause of defects and 2. A better inspection process to eliminate the shipment of bad parts. 3. Qualify and rank possible causes. 4. Collect data to characterize defects. 5. Explore and recommend remediation actions to eliminate root cause(s). 7. Continually monitor quality and adjust processes and procedures as necessary. Concurrent to your root cause analysis efforts it will be wise to improve your inspection process to catch out-of-specification parts before they are packaged for shipment to your customer. Catching parts prior to packaging will allow you to reprocess them much more easily than after they have left your facility or worse, after they have been assembled by your customer. Your inspection process should employ highly trained individuals who can identify defects. It is very helpful to take photographs of typical defects and have the pictures prominently displayed in your inspection area. The operators should be aware of what constitutes a defect and what quality is acceptable. You should also keep daily records of defects and post the data on a board in the finishing/inspection area. Include definitive goals for quality. I do not recommend using a powder coating to repair an already assembled part, nor do I think it is wise to completely strip the powder coating if the defect can be ameliorated by sanding followed by cleaning and the application of a liquid touch-up paint. The bottom line – focus on not producing defects and therefore eliminate the need for fixing bad parts that have left your facility. Best of luck. Dutch paints and chemicals company Akzo Nobel NV (AKZA.AE) announced Wednesday changes in its executive committee. - Graeme Armstrong will become Managing Director Surface Chemistry and Country Director for North America. Mr. Armstrong is currently Executive Committee member responsible for Research, Development, and Innovation (RD&I).